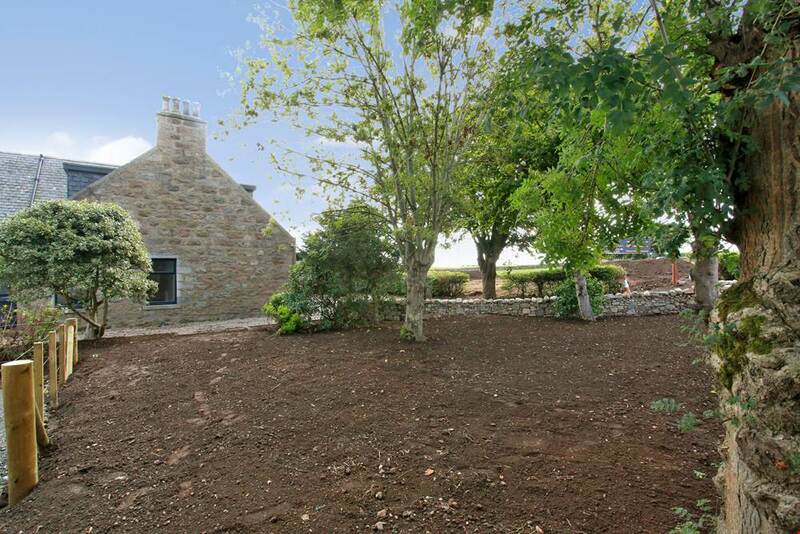 Enjoying far reaching views across the surrounding countryside and towards the sea, this traditional stone two public/six bedroomed farmhouse is set within generous grounds, has private access with drive and an integrated single garage with a further single garage/workshop to the rear. 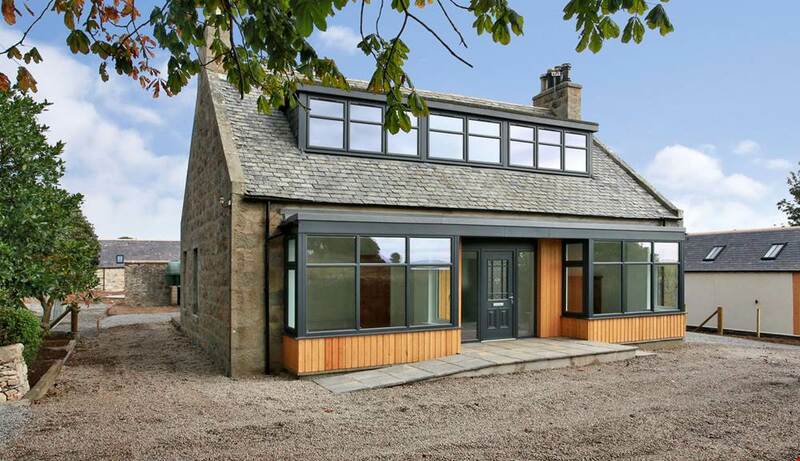 Recently refurbished to a high specification including VEKA double glazing, a new hot water cylinder, quality fitted comprehensively equipped dining kitchen, two quality en suites and family bathroom. 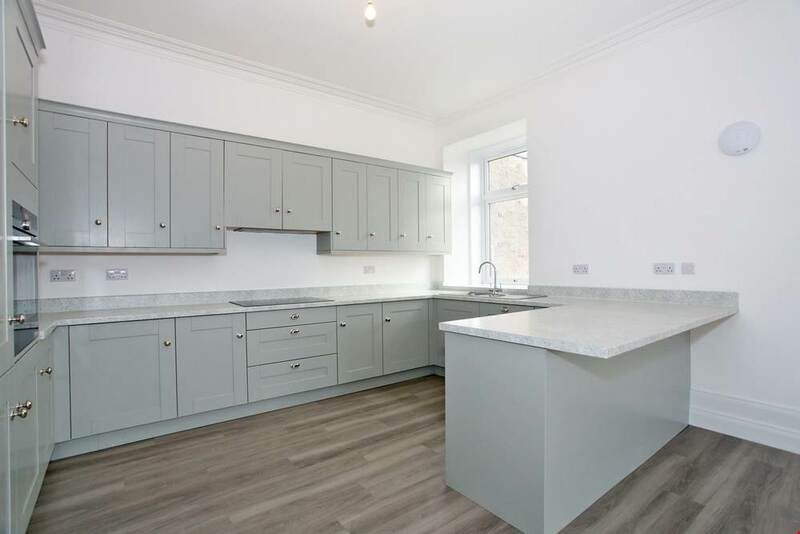 Truly ready to move into and freshly decorated in neutral tones complemented by a combination of quality Amtico Click flooring and contemporary carpets, the subjects boast period detail such as high ceilings with plaster cornice, deep skirting and an open fireplace to the family area. Upon entering the private drive, there are mature trees and the drive winds around the property giving access to both garages. The gardens enjoy mature Horse Chestnut, Rowan and Rhododendron and the main garden area will be laid with top soil and seeded if required. For the discerning buyer seeking a fantastic home in the country yet only 15 minutes’ drive from the city, this desirable property must surely fit the bill – early viewing is essential! Location: Located on the outskirts of Bridge of Don, there are many supermarkets and facilities within Bridge of Don itself including reputable nursery, primary and secondary education and the city’s private schools within the city centre are only some 15 minutes’ drive from the property as are Aberdeen’ s associated recreational shopping and business areas. 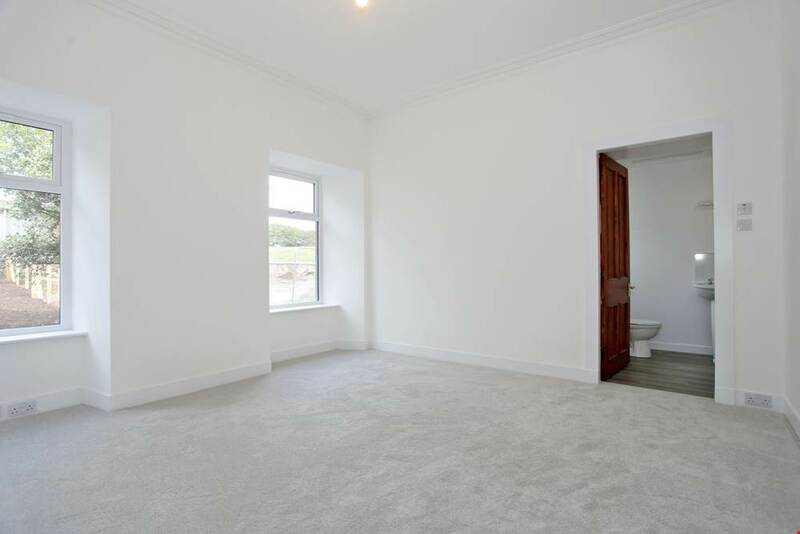 Enjoying easy access to the newly opened section of Aberdeen bypass, once complete, the subjects will have easy access to the central belt and currently enjoys easy access to Aberdeen Airport and businesses to the north of the city. 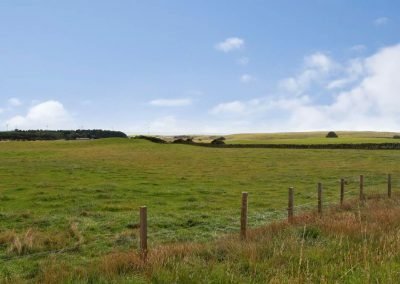 Countryside walks are on the doorstep as is Balmedie Beach and County Park.There are many 18-hole golf courses close by. Regular public transport is readily available to many parts of the city and beyond. The subjects are a stone’s throw from the newly opened Marks and Spencers Food Hall and Costa Coffee. Hall 8’0” x 5’9” [2.44m x 1.77m] approx. main area. 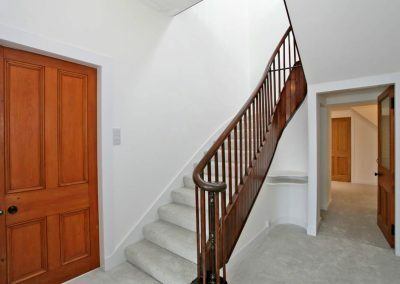 An attractive staircase with wooden balustrade rises to the upper floor and traditional panel style doors give access to the accommodation. There is a doorway through to a further area of hall which boasts a deep understair cupboard and two further lower level built-in cupboards all providing fantastic storage. To the rear, a door gives access to the long rear hallway which in turn gives access to the rear garden and to the garage. Lounge 18’4” x 13’1” [5.60m x 4.00m] approx. into bay. 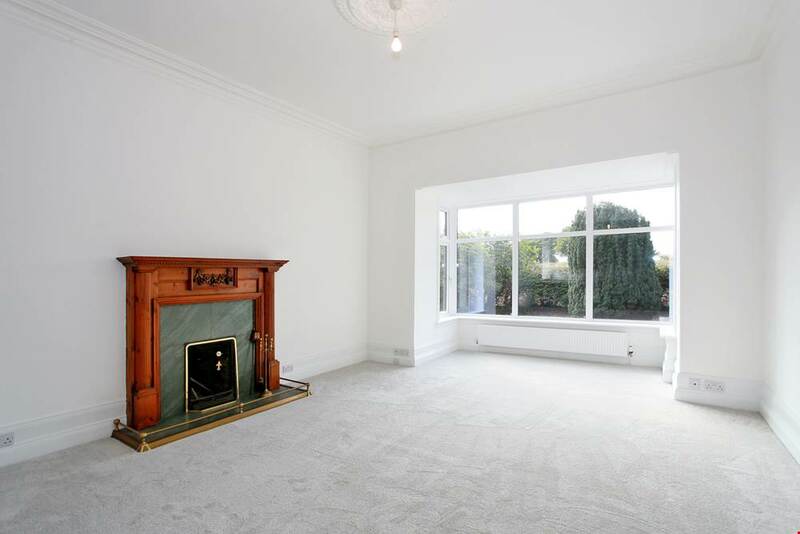 Beautifully appointed, this is ideal as a formal lounge or dining room boasting a high ceiling with plaster cornice, a shelved alcove and a box bay window to the front which affords great light and a pleasant outlook over the grounds. Dining Kitchen/Family/Dining Room 32’10” x 14’1” [10.03m x 4.30m] approx. 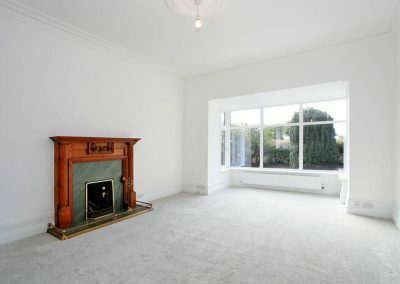 As can be seen by the dimensions, this is a fabulous living, dining and entertaining space within which the main area incorporates a bay window to the front and an open fireplace with wooden surround and brass fender. The high ceiling with plaster cornice and ceiling rose, the family area is carpeted whilst the kitchen area has Amtico Click flooring. Thoughtfully planned and quality fitted the kitchen has contemporary grey wall and base units incorporating co-ordinating worktops and a 1.5 bowl Blanco sink with drainer and mixer tap. There is a carousel cupboard, soft closing drawer units including pan drawers and integrated appliances by Siemens including an induction hob with ‘Flex Induction’ and concealed extractor hood above, fan assisted oven, fridge, freezer and dishwasher. There is a tall window to the side affording natural light to the workspace. Laundry Room 16’0” x 6’11” [4.88m x 2.13m] approx. 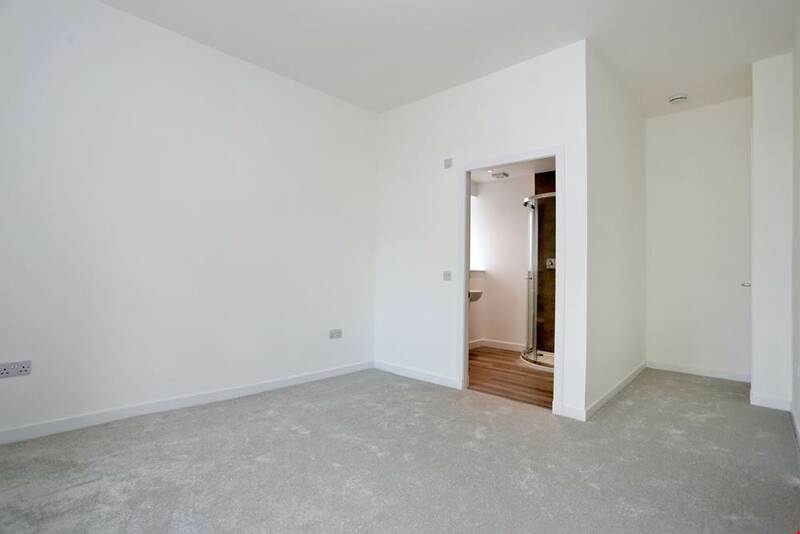 This area has a stainless steel sink and a worktop under which there is a automatic washing machine and tumble dryer. The hot water system along with the recently installed hot water tank is located here. Master Bedroom with En Suite 13’6” x 13’2” [4.11m x 4.03m] approx. 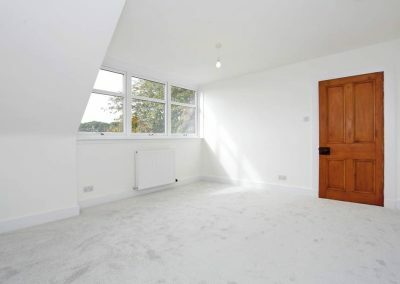 Well proportioned and with two windows to the side, this master bedroom has a ceiling with plaster cornice. 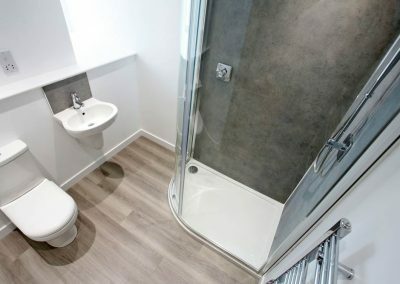 En Suite (8’8” x 4’6” [2.66m x 1.39m] approx.) 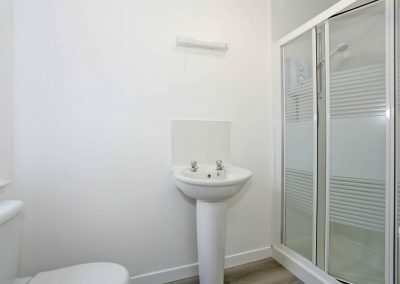 is fitted with a large electric shower and aqua panelling, pedestal wash hand basin and w.c. Opaque window to the side. Bedroom 2 with En Suite 17’9” x 14’8” [5.42m x 4.47m] approx. 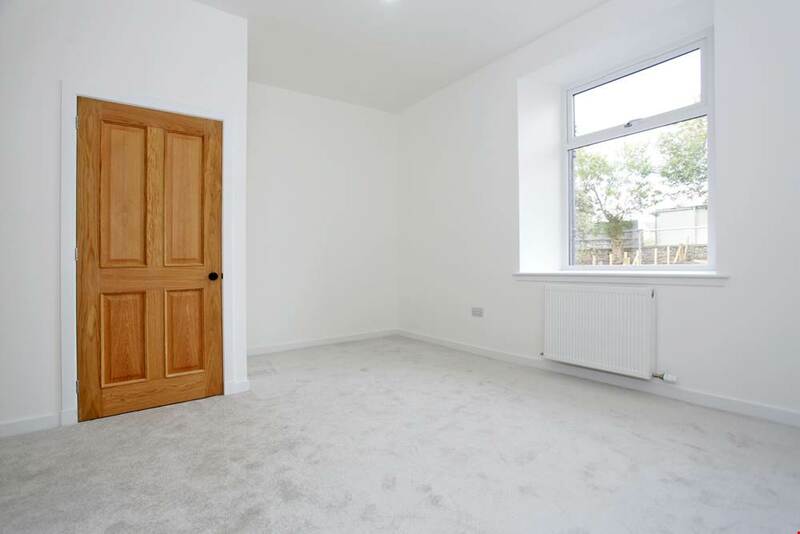 This is a further great sized double bedroom which has a deep silled window drawing in natural light and a doorway leads to the hidden staircase and up to the dressing room/office. 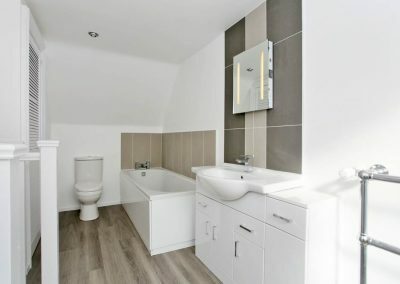 En Suite (6’6” x 6’3” [1.99m x 1.92m] approx.) 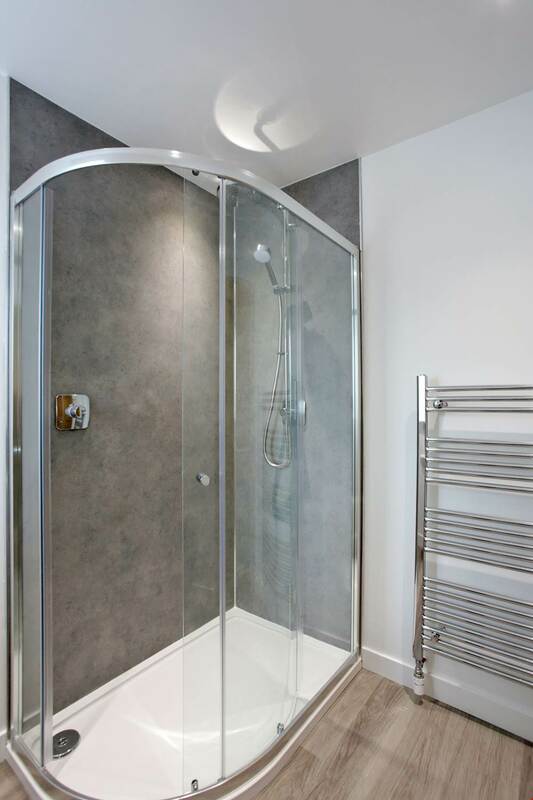 is fitted with a corner shower unit with a mains thermostatic shower with drench and detachable showerheads. There is attractive aqua panelling, a wall mounted wash hand basin and w.c. Air extractor and deep silled opaque window to side. Dressing Room/Office 14’2” x 11’6” [4.33m x 3.51m] approx. 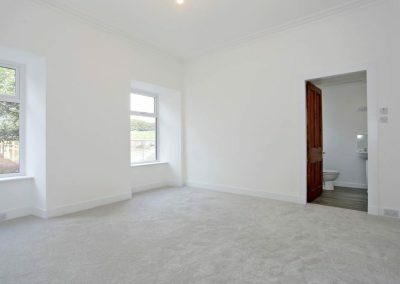 With views towards the sea, this adaptable area could have a variety of uses including a dressing room, office or playroom. There are deep ceiling lie-ins adding character to the room and a non-functional fireplace with a tiled hearth. Mezzanine Bathroom 13’6” x 6’11” [4.14m x 2.11m] approx. 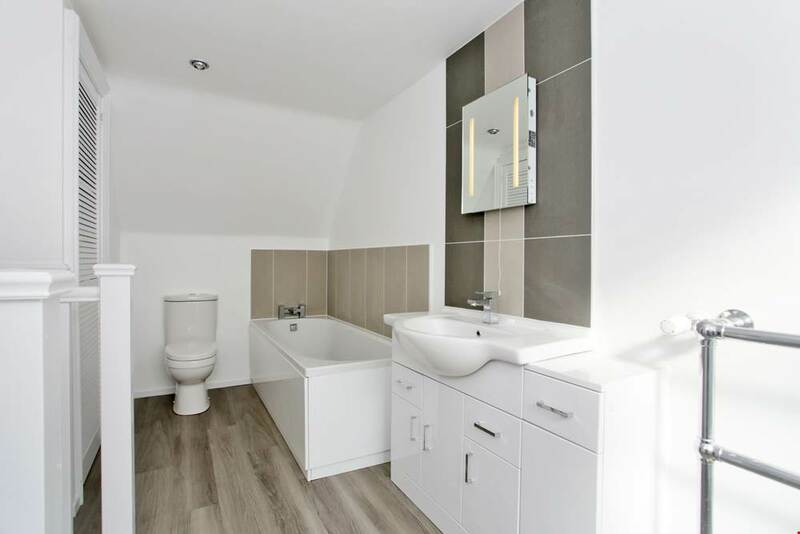 Fitted with a bath with shower handset and most attractive high gloss vanity units providing cupboard storage and housing the wash hand basin with mixer tap and w.c. 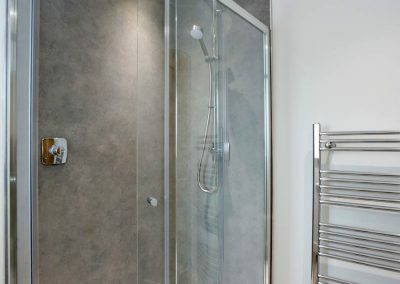 There is a traditional style chrome heated towel rail, a tall cupboard for towels and linen and an opaque window. Upper Hall 8’11” x 7’11” [2.74m x 2.42m] approx. 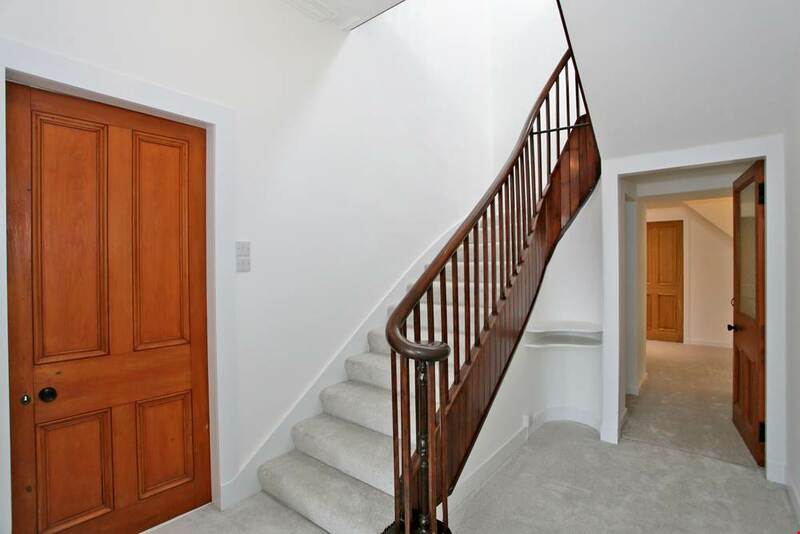 A lovely traditional staircase with wooden balustrade rises to this upper hall which has traditional style pine panelled doors to the accommodation. Bedroom 3 14’2” x 12’1” [4.34m x 3.70m] approx. 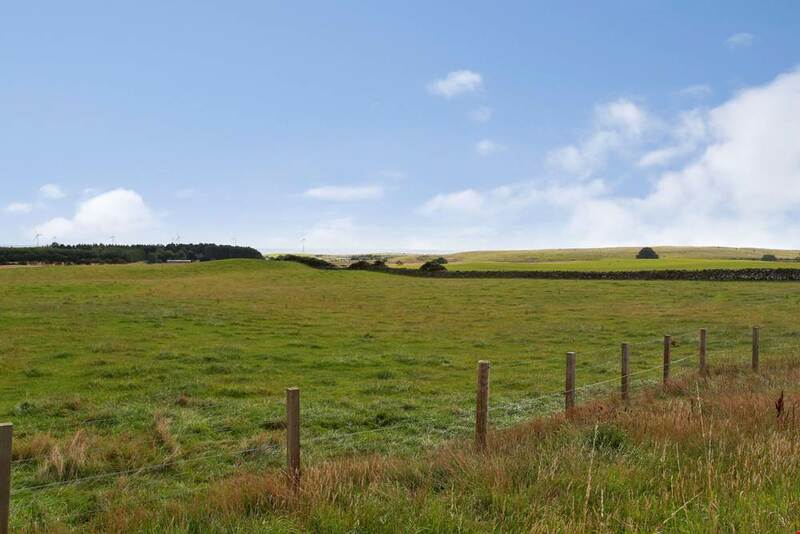 A large window to the front affords fantastic views towards the surrounding farmland and sea. Bedroom 4 13’4” x 12’2” [4.09m x 3.72m] approx. Again overlooking the front and enjoying fantastic views, this is a well proportioned double bedroom. Bedroom 5 14’2” x 77” [4.34m x 2.32m] approx. Ceiling lie-ins add character to this double bedroom which overlooks the rear. Bedroom 6 13’2” x 8’7” [4.01m x 2.63m] approx. Again overlooking the rear with ceiling lie-ins. Shower Room 7’10” x 7’7” [2.39m x 2.32m] approx. With an opaque window to the front and fitted with a w.c., a wash hand basin built into white high gloss vanity units and a shower unit with mains thermostatic shower and aqua panelling. Outside With private access from the roadside, a driveway winds around the front of the property and leads to the first garage and onto the second garage/workshop at the rear. Within the first section of garden, are mature Horse Chestnut, Rhododendron and Rowan and a beech hedge, the second area of ground can be laid with top soil and seeded and this is at the discretion of the prospective purchaser. There is an area of ground to the west side which will be fenced and planted with hedgerow providing privacy and this is where the oil tank is situated. To the rear and east side of the property fencing will be erected and hedgerow planted, again to provide privacy and seclusion. Garage 1 – 22’0” x 13’5” [6.75m x 4.11m] approx. With a newly installed electric door, power and light, this garage has access to the rear hall and property. Garage 2/Workshop – 18’3” x 12’7” [5.57m x 3.83m] approx. With an up and over door and window, this garage has power and light and is suitable as a workshop. Quality VEKA double glazing by Thistle Windows & Conservatories Ltd under guarantee. Quality security locking front door by Thistle Windows & Conservatories Ltd under guarantee. uPVC soffits and fascias by Thistle Windows & Conservatories Ltd under guarantee. Quality fitted kitchen comprehensively equipped with Siemens integrated appliances. Two quality fitted en suites and family bathroom. Quality Amtico Click flooring and contemporary carpeting. Recently installed hot water cylinder. Electric garage door under guarantee. Fencing to be erected to boundary along with planting of hedgerow to afford privacy. Main area of garden can be top soiled and sown with grass seeds but this is at the discretion of the purchaser. Further options and requirements can be discussed upon request. Notes Oil fired central heating. Quality double glazing and front door under guarantee. EPC=G. Drainage to a communal waste treatment plant for which an annual fee is payable. 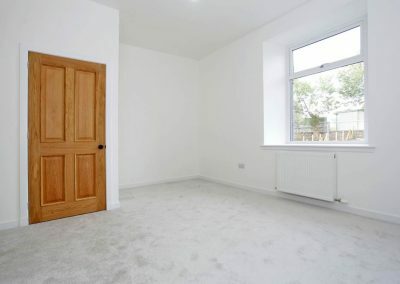 To arrange a viewing of this property, please fill out the short form below and we will be in touch.